Upload your contacts with just a few clicks. Choose a templates, then add your images and text. Schedule or send your emails right away. Sign up for a MailBang! private invitation. 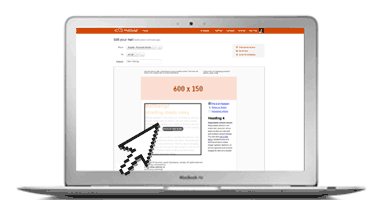 Be the first to experience the simplicity of creating and sending emails with Mailbang! Manage your campaigns effectively. From start to finish you'll be amazed at how fast you'll be launching your first email campaign. 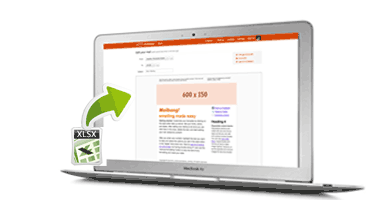 Edit your emails with our simple online editor. Target your contacts in one click. Measure the success with your dashboard. Create awesome emails without getting technical. Just add your images and text, we’ll do the rest. We apply the best practices to get your email delivered right to your contact’s inbox. Start benefiting from the best direct marketing medium. Augment your business strategy with an email campaign today. Email is still the best direct marketing medium, far in front on social media. Statistics show that on average $1 spent on email marketing generates $40 dollars. 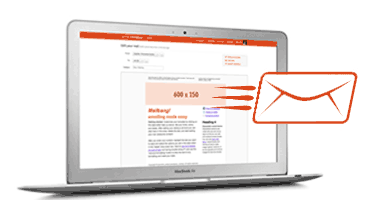 If you can send email from Outlook, you can use MailBang!. MailBang! is by far the fastest way to send emails to your contacts.